Home Biology Cloning Controversial Humans Science Did China Really Created Gene-Edited Human Babies? Did China Really Created Gene-Edited Human Babies? 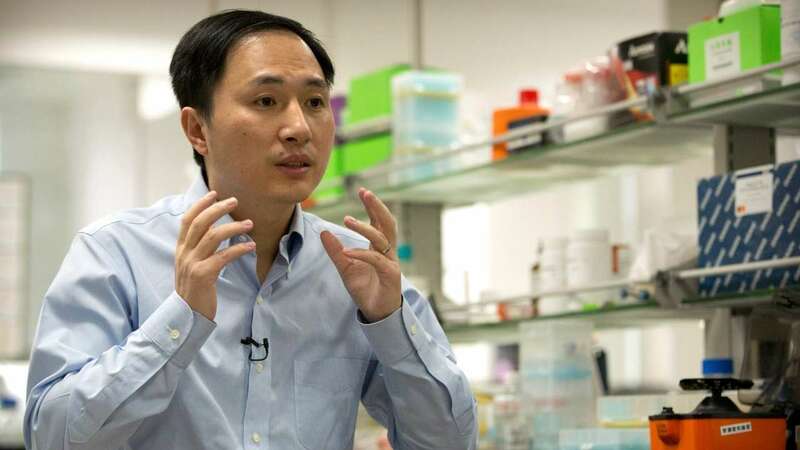 Chinese health and medical ethics authorities started an investigation on Monday into claims by a scientist who released videos on YouTube saying he had altered the genes of twins born earlier this month, creating the first gene edited babies. The Southern University of Science and Technology in the southern Chinese city of Shenzhen, where the scientist, He Jiankui, holds an associate professorship, said it had been unaware of the research project and that He had been on leave without pay since February. He Jiankui defended what he claimed to have achieved, saying he had performed the gene editing to help protect the babies from future infection with the AIDS virus.But his university said it was a "serious violation of academic ethics and standards" and scientists around the world condemned it as monstrous and dangerous. The university issued a statement after He said in five videos posted on Monday that he used a gene-editing technology known as CRISPR-Cas9 to edit the genes of twin girls.China's National Health Commission said it was "highly concerned" and had ordered provincial health officials "to immediately investigate and clarify the matter". "We have to be responsible for the people's health and will act on this according to the law," it said in a statement.Shenzhen's medical ethics committee said it was investigating the case. The Guangdong provincial health commission was also looking into it, according to Southern Metropolis Daily, a state media outlet. He said in one YouTube video that the editing process, which he called gene surgery, "worked safely as intended" and that the resulting twins were "as healthy as any other babies". It was impossible to verify the claims as He did not provide any written documentation of his research.CRISPR-Cas9 is a technology that allows scientists to essentially cut-and-paste DNA, raising hope of genetic fixes for disease. However, there are also concerns about its safety and ethics. "If true, this experiment is monstrous," said Julian Savulescu, a medical ethics specialist at Britain's University of Oxford.Kathy Niakan, an expert at the Francis Crick Institute in London, said: "If true...this would be a highly irresponsible, unethical and dangerous use of genome editing technology. "China's Southern University of Science and Technology It said He is on unpaid leave until 2021. "Southern University of Science and Technology strictly requires scientific research to conform to national laws and regulations and to respect and comply with international academic ethics and standards," it said.Asked for his comment on the university's statement, He said he had been on voluntary leave for several years to focus on his research, without specifying dates.In the videos, He defended his work, saying in one: "I understand my work will be controversial, but I believe families need this technology. And I'm willing to take the criticism for them." In an earlier email to Reuters, He said that he planned to share data about the trial at a scientific forum this week. He said he planned for it to also go "through the peer review process, and through a pre-print soon." A pre-print is a publication of findings made before the research is published in a peer-reviewed journal. In an earlier telephone interview and emails with Reuters, He said he was aiming to bestow on the gene edited babies "lifetime protection" against HIV, the virus that causes AIDS.He said he began his work in the second half of 2017 and enrolled eight couples. All of the potential fathers involved were HIV-positive. Five chose to implant embryos, including the parents of the twin girls, identified only by the pseudonyms Mark and Grace. The babies' names are Lulu and Nana, He said in one video.